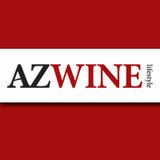 AZ WINE Lifestyle Magazine is the ultimate resource for wine consumers and enthusiasts in Arizona. We provide our readers the most current information and resources promoting a wine-centric lifestyle in Arizona. We provide easy to follow wine tour maps as well as listings of vineyards,wineries and tasting rooms in the state. Valuable statewide lodging information, places to dine, and fun adventures to take while exploring Arizona wine country are packed into each issue. Wine industry experts provide interesting and informative articles about wine in Arizona. Plus check out our regular features such as Trending@, Innovations, The Wine Buzz, Origins, Point of Brew, and much, much more.